Goa: The sub-district hospital in Tuem here is expected to be inaugurated by March 2017. The construction work on the site is currently in full swing, with 25% of the hospital project reported to be complete now. This 25% consists of a ground-plus-one structure with 70-bed capacity and basement parking facility, which is ready. This hospital project is likely to cost Rs 50 crore and is funded by the Goa state infrastructure development corporation (GSIDC). In the first phase of the project, the focus was to renovate the existing primary health centre. There is now a casualty, six OPDs, maternity and general wards, an operation theatre and the necessary ancillary to cater to the district requirements of outpatients. The healthcare centre also has facility of 40 beds for inpatients. This existing facility will be used for administrative purposes in future. 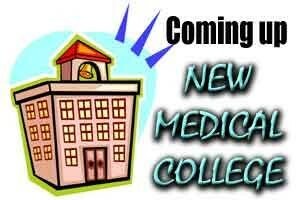 It is reported that the hospital will be attached to the Goa Medical College (GMC) and Hospital, Bambolim, as a rural medical centre. Special facilities will be made available at the hospital, which will incorporate infrastructure for a general ward, gynaecology, orthopaedic, ophthalmology and paediatric departments. In addition, there will be a mortuary, workshop, hospital store, laundry, out-patient department (OPD), blood bank, central sterile services department (CSSD), casualty, canteen, radiology department, pharmacy, day care ward, physiotherapy department, community services, pathology department, male/female wards, dialysis, operation theatre (OT), intensive care unit (ICU), delivery suite, paediatric ward, maternity ward, etc. Opportunities for Internships and Residential quarters will also be made available for doctors. As reported by TOI, Chief minister Laxmikant Parsekar, along with officials of the directorate of health services, inspected the construction work recently. Parsekar said that construction will be completed by December and the government intends to inaugurate it by March next year.